Overnight, there was an outbreak of March Madness. With the last games of various conference tournaments wrapping up, Selection Sunday lead to the official beginning of NCAA Tournament fever, as teams did their best to make the cut and get into the 65-team NCAA Tournament and vie for the national championship in college basketball. 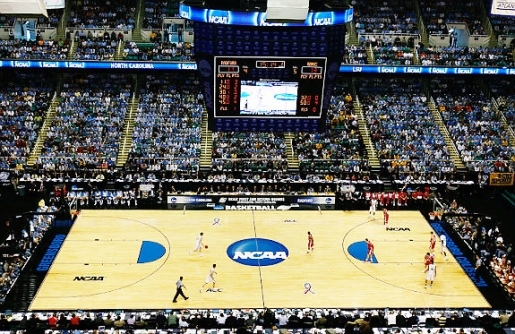 Once the NCAA Tournament got picked, that cleared the path for the two other post-season tournaments, the NIT (National Invitational Tournament) and the CBI (College Basketball Invitational) to finalize their fields as well. The coveted number one seeds went to the Kansas Jayhawks, Kentucky Wildcats (my home state team), Syracuse Orange, and the Duke Blue Devils (boo). Brackets, brackets everywhere! Here’s the basic breakdown of these tournaments. The NCAA is the best of the best, the NIT is the best of what’s left, and the CBI is the best of teams that could break even and win half their games. While the CBI is only a few years old, the NIT actually predates the NCAA Tournament and, at one point, was the most prestigious post-season tournament for college basketball.